The Carnotaurus lived in the late Cretaceous period in South America. While they were the only identified horned theropod, the meaning of their name in Latin (carnis and taurus) is ‘meat-eating bull’. The very first fossil of this prehistoric animal was unearthed in Argentina. 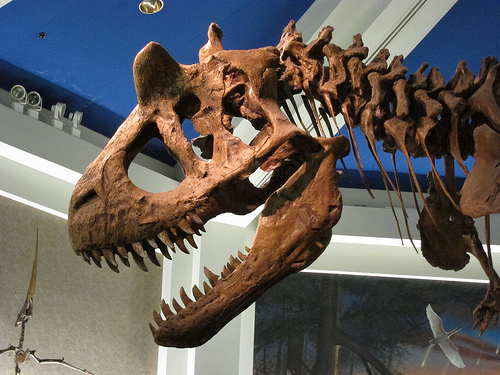 In 1984, the first fossil of the Carnotaurus was discovered in Argentina’s La Colonia Formation in the province of Chubut by Jose Bonaparte and his team, who was out with his team for an 8-year-old project expedition (since 1976). 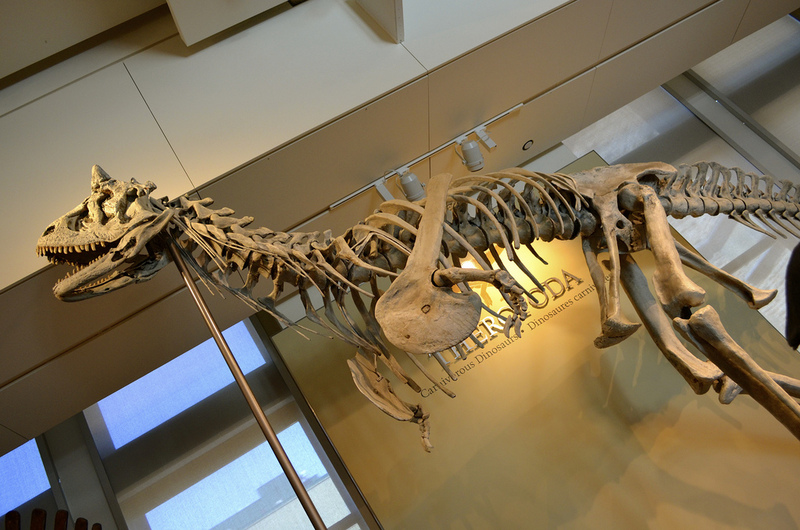 Recovering the remains was extremely difficult and tedious since they were found in a vast iron rock and belonged to one single dinosaur that died on its right side with the neck folded atop its chest. Almost the entire fossil was well-preserved, naturally (except for the posterior areas of the two hind legs and the lower part of the tail). Even the skin outline of the animal was almost undamaged clearly showing the presence of fossilized scales. This ignited a ray of hope in the minds of the scientists, and they began examining the entire area. The result was a success with the discovery of a few more impressions of skin segments. Initially, the animal was described with a close examination of only its mandible and the skull since it took a long time to retrieve all the bones. 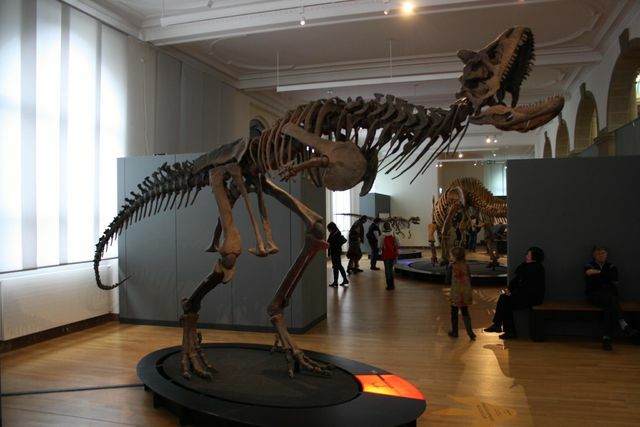 Presently, the skeletal remains of the reptile have been kept protected in a museum in Argentina – Museo Argentino de Ciencias Naturales Bernardino Rivadavia. 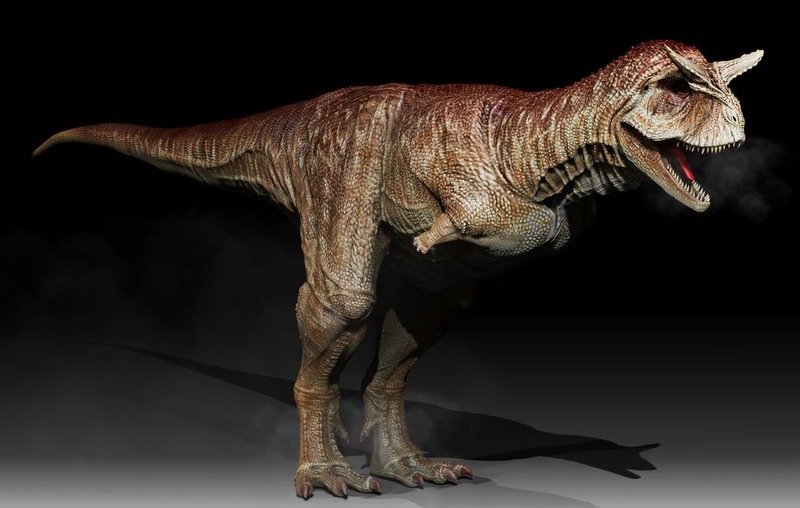 The features of the Carnotaurus are somewhat unique and unusual in the sense that, by evolution, the shape of its skull is deep, with rows of sharp teeth along the jawline and horns right at the top of their eyes. These horns are thought to have been helpful as self-defense against attacks, or while fighting with other dinos. The smallness of their hands, with four fingers in each, clearly displays ancient features, while the size of the forearms is almost the same as their digits. In fact, their two upper limbs would not bend and were shorter in size than the T. Rex. The skin of these creatures was coarse and bumpy, with the bumps arranged in rows. The bumps were bordered by tubercles. However, their back legs were rather strong and muscular which helped them with comfortable locomotion, making them more nimble than many other contemporary theropod species. 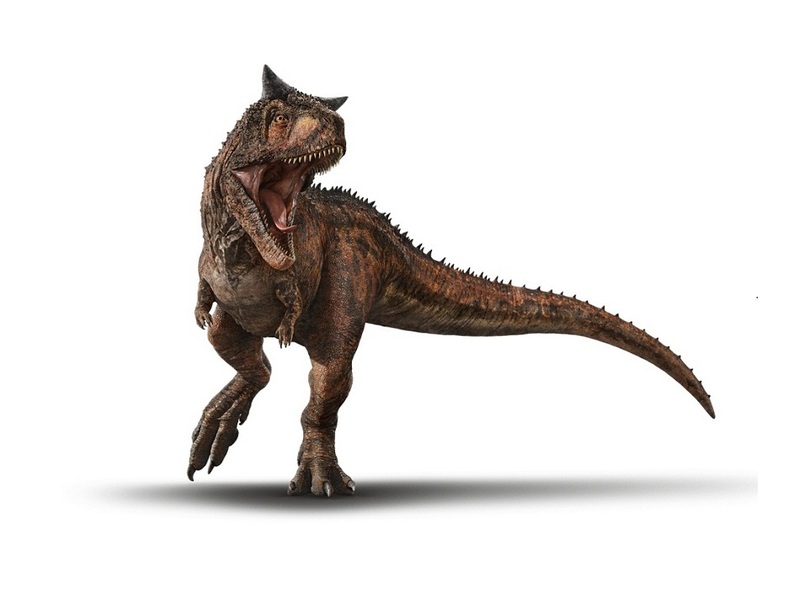 The Carnotaurus shared its territory with the prehistoric turtles, snakes, and several mammal species. They were extremely threatening predators and were able even to gulp down some of their prey whole. These creatures were also one of the fastest predators of the Mesozoic Era. They were voracious eaters and would only eat meat. They usually preyed upon other smaller species being the apex predator of its ecosystem. Carnotauruses had a weaker bite force compared to other large theropods. Skin impressions representative of the entire length of its body has given the paleontologists the best possible information till date about dinosaur skin in general. Ever since the creature had been portrayed in the Steven Spielberg TV show Terra Nova, the Carnotaurus has risen in the worldwide dinosaur rankings quite quickly. Published on August 6th 2018 by admin under Reptiles.